For the first time Third Space is curating an intimate experimental festival where people meet, share and learn. On Transformation contains a series of artistic and cultural events including Runo-Koe: poetry encounters, Collective Reading and Writing, and Sound Room: lecture and performance. In a combination of writing, sharing, performative actions and interventions, we explore subjects of identity, body and its performativity. For that, Third Space Collective has the pleasure to invite the artists Ana Ala-Ruona, Lena Seraphin, Olga Zamurović & Shinji Kanki to share their knowledge in the form of workshops/lectures that seek to reflect on the experience of living together with diversity and multiplicity. In order to look for pleasure and enjoyment in writing as tools for gaining autonomy and creating possible futures, Ana Ala-Ruona’s writing workshop invites trans- and non-binary people, women and queer folks to write together in and about speculative fiction queer worlds. Lena Seraphin hosts "Wording – Collaborative Writing in Public Space" in Kasarmitori square in Helsinki as a hands-on workshop about how we perceive public space and how we can write about it. In her workshop "Tunnellinen Hetki", Olga Zamurović calls for artists, human researchers and people interested to explore embodied emotion and devise a performance that will be presented on the same evening following the workshop. Shinji Kanki’s lecture focuses on how trough sound one is able to find his/her own identity and place in the world, and invites the audience to create a memory ecology through a collective performance. 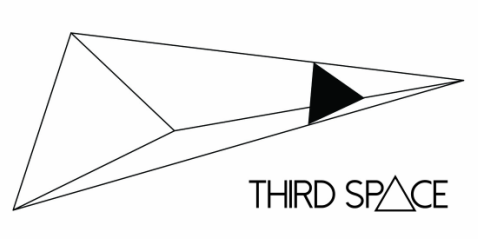 Curated by some of the members of Third Space Collective Blind Dinner is a series of gatherings with invited artists and guests, which explores violence from an artistic perspective. On December 21st, the Festival will come to an end with a public presentation by Third Space Collective, the invited artists and the workshop participants. This writing workshop invites trans- and nonbinary people, women and queer folks to write together in and about speculative fictional (=SF) queer worlds. The aim is to look for pleasure and enjoyment in writing as tools for naming needs, gaining autonomy and creating possible futures. We also play and create our own avatars by writing. We write about and as avatars from whose perspective we wish to experience the world for a moment. We will do both solo and collective writing tasks, share our writings and discuss - also resting and chilling with and inside the practice of writing is welcome. You don't need to have any specific experience in writing - interest is enough. Take with you pens, paper and a laptop or some other device with which you can access the Internet. The workshop language is English but everyone can write with any language that they feel most comfortable with. The workshop is for 8 participants. Ala-Ruona's work has been supported by Taike. Wording – Collaborative Writing in Public Space is a hands-on workshop about how we perceive public space and how we can write about it. Wording is inspired by Georges Perec and his experimental book An Attempt at Exhausting a Place in Paris from 1974. Perec noted down the date, time of day, place and weather, and then went on to write a list of what was happening within his field of vision. Invited by Third Space Collective this writing workshop will happen for the first time in Helsinki at Kasarmitori square. It is surrounded by buildings such as a post-office, a supermarket, offices, restaurants, the ministry of defence, a memorial and a karaoke bar. However, the writing is about how we perceive, detect and identify rather than about describing existing edifices. In this way collective writing invites presence and resists the objectification of our bodily selves. During Wording we write in a group in any chosen language – including made-up ones. The workshop is concluded with a discussion and a performative simultaneous reading of the texts at Third Space. Sign up by sending an email to: th1rdspac3(at)gmail(dot)com and in the subject field write: Wording-Collaborative Writing in Public Space. We think of emotions as of psychological processes primarily experienced on a mental level. But in physical terms, emotion is, in fact, a muscle contraction which is preparing us for behavioural response to the present stimuli. The workshop calls for artists, human researchers and people interested to explore embodied emotion and devise a performance that will be presented on the same evening following the workshop. In the workshop, we will reflect on own emotional spectrum, on relations these emotions were carrying through our life and explore our capacities for empathy while trying to capture the expressions in photos and video clips. The performance will be, in an important sense, a presentation of our findings. The audience will be able to participate in exploration by observing own bodily adoptions as well as photographing/filming/drowning. All the works that participants and the audience contribute will become (a part of) an Instagram exhibition. The workshop can host 6 participants - first 6 who sign up! To sign up send an email with a short introduction of yourself to th1rdspac3(at)gmail(dot)com and in the subject field write: Tunnellinen Hetki. Location: Unknown place, indications and help given to get there. Blind Dinner is a series of gatherings with invited artists and guests, where the aim is to explore violence from an artistic perspective: violence that we are currently experiencing in many parts of the planet. Violence is used by governments as mechanisms of control, dispossession of lands and human rights, by feeding fear and terror to their population. For example, on September 26, 2014, 43 male students from the Ayotzinapa Rural Teachers' College were taken by force then disappeared in Iguala, Guerrero, Mexico. They were allegedly taken into custody by local police members from Cocula and Iguala, colluded with the organized crime. The theme of this first dinner is "Levantón" which in English means kidnapping or forced disappearance. The dinner will host only 5 persons, in order of registration, plus guest artists. Depending on the profile of the participating artists, the approach and dialogue to the theme will be through video, sound, music, collage, photography and/or installation. This will create a raw environment of what this type of violence can represent for us, criticizing how violence is currently approached daily, slowly making us consumers of this in its different forms. ​Please be aware that as part of the dinner there might be disturbing sound content. Therefore if you are a person sensitive to strong emotions, we advise you not to attend. To sign up send and email to th1rdspac3(at)gmail(dot)com and in the subject field write: Blind dinner registration. Please tell us in a couple of sentences why you are interested in taking part and mention if you have any allergies or specific diet. Deadline for registration: 4.11.2018. The lecture will focus on the topic of “Lost sounds, lost identity” and how through sound one is able to find his/her own identity and place in the world. Following the lecture, the audience is invited to take part in a collective improvisation based on the lecture topic and create a memory ecology. To join the improvisation please bring any small gadget that can make sound without the need of a PA, such as mobile phone, laptop, acoustic instrument or objects, radio, record player with small speakers, etc. all of which should play sounds related to the theme.